Is your business ready for a different now? 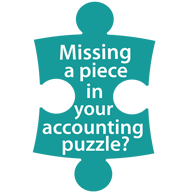 We would love the opportunity to discuss with you how we could be the piece that's missing your accounting puzzle. 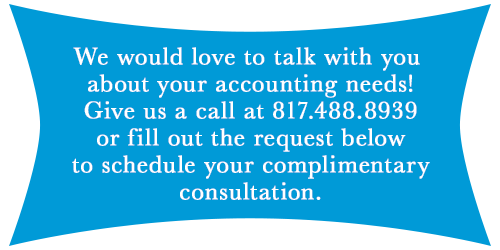 Our accounting firm is a blend of two firms in the DFW Metroplex- Dana McGuffin CPA, PC and Knutson CPA, PLLC. In 2006, Dana McGuffin CPA, PC began in Bedford, Texas with the vision of helping small businesses and nonprofits beyond accounting services. With financial data handy, it makes sense to advance the partnership beyond numbers and discuss cash flow and profitability. Meanwhile, Wendy Knutson was beginning Knutson CPA, PLLC in 2010 in a small suite in Southlake, Texas. This city is a welcoming community that we are proud to be part of. Finally, Dana McGuffin, CPA purchased Knutson CPA, merging the two teams in 2017. We continue to serve both sets of clients from our Southlake office and enjoy the opportunities an expanded team brings our clients! As the firm has grown, we have been blessed with clients who trust us. We are not simply accountants, but reliable advisors. As we helped entrepreneurs thrive, we found that the time clock was not our friend. Tracking and billing every quarter hour pit us against our clients, who want a quick turnaround, while we want quality time to do our best. Taking a leap of faith, we threw out the time sheets. As a result, our team experienced a mind shift from time tracking to clients needs, goals, and results.We began to quote upfront to avoid surprise invoices. This allowed us to think strategically about how to better serve our clients. That is when we discovered ROWE, a Results Only Work Environment. Working where we want, when we want, as long as the work gets done- makes Dana McGuffin CPA a wonderful place to serve clients. We believe being profitable is the intention of every entrepreneur. Unfortunately, many find themselves in business for years only to discover they are not profitable. Because of this, we set out to be a resource to help clients meet their goals. Good or bad, we take responsibility for our work and make it our own. We will be open and honest with you. Sometimes you might not like what we say, but know that we speak the truth out of respect for you and your organization. We truly care about you and your organization and do our best to prove it. If you’re around the Dana McGuffin CPA office very much, you will hear these phrases used on a regular basis. Why do we have promises? We’ve learned that it’s critical to know who we ARE. Just as principles guide us in our personal lives, core values guide us in our business. During a recent brainstorming session, our team defined promises with these terms: commitment, follow-through, character, dedication, fulfillment, integrity, obligation owed, taking action, having an “I care enough” attitude, and knowing that your word is your bond. We know that promises can be made between people or between organizations (which are really just groups of people.) Promises can be kept. Or promises can be broken. We make our three Promises to our clients and to one another. Hopefully, our promises give you insight into who we are. It is essential to build trust in a professional relationship. We hope these promises will be the first step in building your trust in us. As we grow our professional relationship together, our team will strive daily to fulfill these promises to you. Our mission is to empower you, through strong financial principles, to focus on your vision and your hopes and dreams for your organization. DIFFERENT, Are You Ready To Experience It? Results matter. You are our focus – not the timer. You won’t receive hourly billing and surprise invoices. Rather, all work is quoted up front for you to decide whether you want to engage us. Every engagement we offer is billed on a flat-fee, up-front basis. You will receive a response to your calls and emails within 24 business hours. We utilize cloud technology so our clients can access their information anytime and anywhere. We embrace no-surprise billing where you know what your investment will be up front. We guide businesses toward profits. We implement that same focus on finances with ministries and churches, putting their vision first. We have found that fit is critical when it comes to working with an accounting firm, so we want you to know a bit about us! We embrace no-surprise, up-front, flat fee billing where you know what your investment will be up front. We believe this puts us on the same side of the table as our clients. Are actively involved in the day-to-day operation of your organization and want to stay on top of your profits. Enjoy using advanced technologies such as cloud-based systems and email when possible. Feel that your current accountant is not as responsive as you would like or doesn’t understand your needs. Feel your accountant could do more to provide business advice and insight to help increase your profitability. Have been operating three years or more or have at least five employees. Is your business ready for different now? We would love the opportunity to discuss with you how we could be the piece that’s missing in your accounting puzzle.